Since 2004, Dr. Matthew Paterna has been passionate about helping families live a better life. No matter what level of health you’re currently experiencing, our expertise can help you improve it so that you can increase your quality of life. Get started today – call (203) 932-4476 right now! Take advantage of our new patient special offer and book an appointment today. 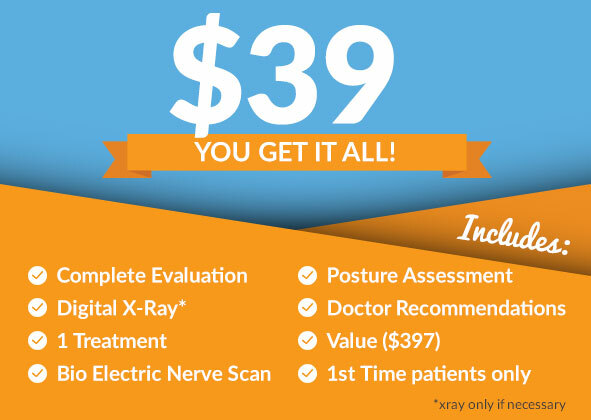 You’ll receive a thorough evaluation, posture assessment, digital X-ray, doctors recommendations, a nerve scan and your first treatment – all for just $39! We offer Saturday appointments, free parking and on-site X-rays for your convenience. Call (203) 932-4476 or book an appointment online now! Top Local Chiropractor conveniently located on the Milford / West Haven border.